Many books on lots of bookshelves. 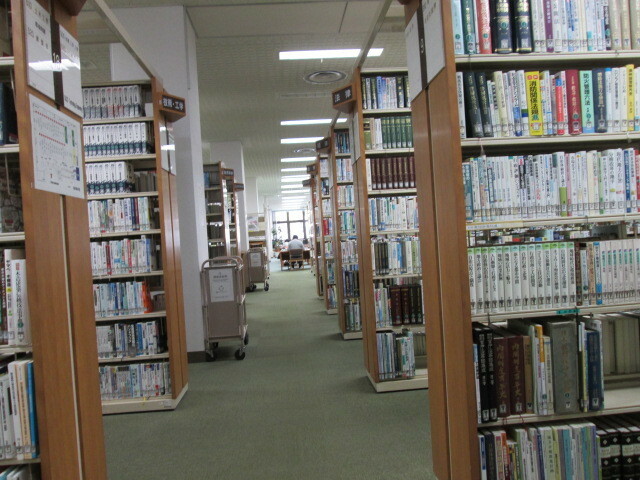 I am in the library to return the book. Arrangement of books of art genre is strange. although it is part of the whole Western painter. Moreover, it is hidden between big books and books. At that time, the voice of the female staff did. "I can not find a book that is supposed to be ..."
I point out two hidden books. "No, this is OK here." perhaps this is OK for this. After all the amateur thinking seems sweet.